I am so excited about this product! 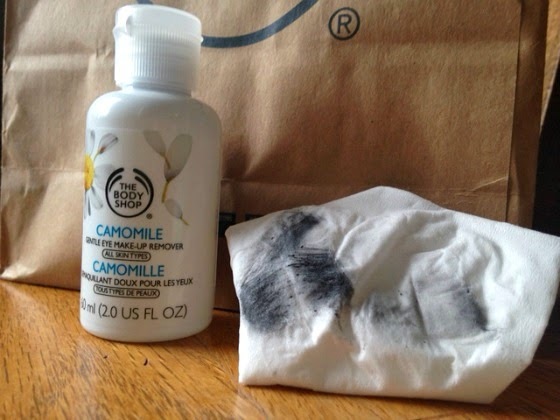 The Body Shop has an awesome makeup remover called Camomile Eye Makeup Remover. I first heard about The Body Shop about two years ago. I noticed their shop in the mall, and saw that their products were completely natural, and they offered makeup, facial masks, and facial cleansers, and just about anything for the beautifying process. 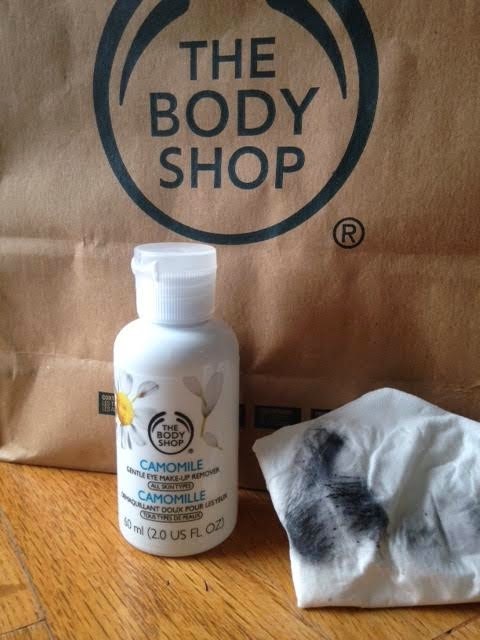 On Wednesday, I went to the mall and found this great product, the Camomile Eye Makeup Remover from The Body Shop. From the look of the bottle, I figured it was a cream makeup remover. My mom used this product first, and said that is was more of a liquid than a cream, the white is just the color of the bottle. I actually like liquid eye makeup remover more than a cream. I can't believe how fast this eye makeup remover works! It took me about one minute to take my eye makeup off both of my eyes. I don't wear eye shadow very often, but I wear a vegan gel eye liner, and a non-waterproof mascara. My makeup was removed in one minute! I am definitely going to purchase more when I run out of the Camomile Eye Makeup Remover, this stuff is fantastic! I usually use makeup remover "towelettes", but that yanks out a lot of my eye lashes when I take off my mascara. This makeup remover was extremely gentle on my eye lashes, and didn't sting my eyes. My makeup came off in a jiffy! The travel size of the makeup remover is $2.40, and the normal size is $9.30.